São Paulo, September 17, 2013 – The Dafiti Group, Latin America’s leading fashion e-commerce, today announced its largest funding worth USD 70 million from the Toronto-based Ontario Teachers’ Pension Plan (Teachers’), one of the world’s leading funds. Since its launch 2 years ago, the Dafiti Group was able to attract USD 255 million in investor funding. Along with JP Morgan and Quadrant Capital Advisors, Teachers’ now joins the list of Dafiti’s major investors. 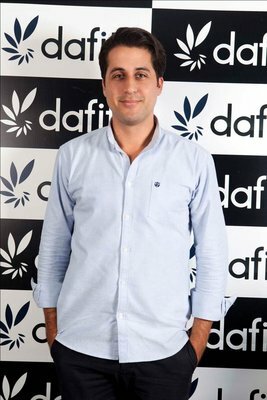 Dafiti had just recently announced that it had received an investment of USD 10 million from Mexico’s León Group, a consortium represented by the owners of the country’s largest shoe brands. For the third time, Brazil was considered the most attractive country for investments in the retail sector*. Seven of the 30 countries ranked are based in Latin America. Brazil’s online retail is continually growing, especially the ‘apparel’ category, which has just reached for the first time the leadership of Brazil’s e-commerce categories. According to e-bit, the specialized consultancy, Brazil’s e-commerce is expected to grow 25% in 2013, as it added 10 million new e-consumers in 2012. By 2015, 39% of internet users, or 31.6 million people, will have made at least one purchase online**. “Supported by a growing middle class, huge consumption potential and significant growth in online and mobile access, Dafiti is well positioned to succeed in online retail in Brazil and Latin America,” said Wayne Kozun, Senior Vice-President, Public Equities, at Teachers’. “We look forward to partnering with Dafiti’s successful management team." More than 800 brands and 100,000 products in six categories in Brazil: apparel, shoes, accessories, beauty, home and décor. For more information, please visit Dafiti in Brazil: www.dafiti.com.br or in Latin America: www.dafiti.com.ar, www.dafiti.com.cl, www.dafiti.com.co, www.dafiti.com.mx.